Home / call center outsourcing / How to design contact center outsourcing RFP (Request for Proposal)? Once the company decides to call center outsourcing process, choosing the right vendor and communicating all the needs become the next important steps. Creating a fine Request for Quote (RFQ) or Request for Proposal (RFP) ensures that you are able to screen the right outsourcing vendor that matches your requirements. Also, it provides a detailed picture of your needs to the vendor that ensures that process runs smoothly in the future. Let’s go through all the important sections that must be included in the RFP to choose the right vendor and provide comprehensive details of the projects requirements. This is the first part of the proposal where you introduce your company and its working. You also give the details of the project in this part. You can also include the demographics related to your end customers so that contact center outsourcing vendor gets the better idea of your requirements. Also referred as scope of work, this portion consists of all your requirements in a comprehensive manner. Usually the services like customer support (inbound and outbound), order taking, telemarketing and IVR services are included in this part. You can also include the possibility of future ventures related to your organization for which outsourcing services may be required . This contains information related to all the important dates like issue of proposal, last date for receiving proposal dues, meeting with the vendor and commencement of the project etc. It can include all the minimum requirements that you expect from a vendor related to the process. This includes CRM requirements, IVR requirements, calling related requirements etc. This is one of the crucial portions that ensure that quality of the services is not compromised. You can provide the performance standards related to accuracy rate, abandon rate and agent occupancy rate etc. You can also ask about information related to quality assurance team of the company along with major key performance indicators (KPIs) used by the call center. You can ask the breakdown of the charges incurred on you on the basis of services along with their duration. You can also ask about other hidden costs related to the process in this section. This shall contain all the general and specific policies of the project related to outsourcing to be included in the contract. Make sure to avoid unnecessary terms that may harm the project in the long run. What features distinguish you from the other call center vendors? What are your methods to achieve satisfaction of end customers? Do you provide recordings of the calls handled by your organization for the clients? Can we take part in training of agents associated with our project? How quickly can you provide us new agents if we plan to expand our services? Can we switch from dedicated to shared agent model in future? How soon do you respond to the request in the changes? What is your approach to handle process in case of natural calamity or system failure? Please provide detailed information related to processes managed by your firm in the past? What methods do you apply to ensure continuous process improvement? You can add or remove the questions in this section based on the scope and nature of your project. Now you have idea of all the important portions that help in designing the finest form of RFP. Check these important tips that help in making RFP much better. It is beneficial for a company to prepare RFP in a team of two or more. This ensures that all the vital points are covered. You must include tables, graphs and flow charts in RFP so that vendor understands your needs in a better manner. Make sure that explain technical terms and abbreviations related to your industry so that there is no misunderstanding from the vendor’s end. Include a ‘Table of Contents’ in the beginning if there are multiple headings and sub-headings in your proposal. 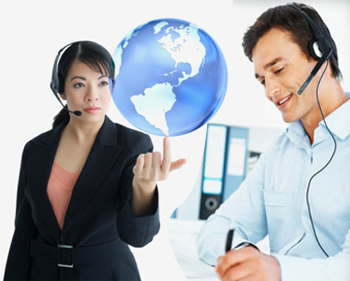 All the points discussed above will ensure that are able to choose the finest call center outsourcing partner that takes care of your end customers in systematic manner.